Tried this recipe last weekend at a BBQ gathering. Wash and clean party wings, let the wings drip dry in a basket over a bowl in the refrigerator. When wings are dry, transfer them to a resealable freezer bag. Mix ingredients for marinade in a large bowl. Pour marinade onto party wings, squeeze out the air and seal the freezer bag. Knead the bag to ensure the party wings are evenly coated with the marinade. Refrigerate overnight. Turn the bag over to coat the other side of the wings in between. 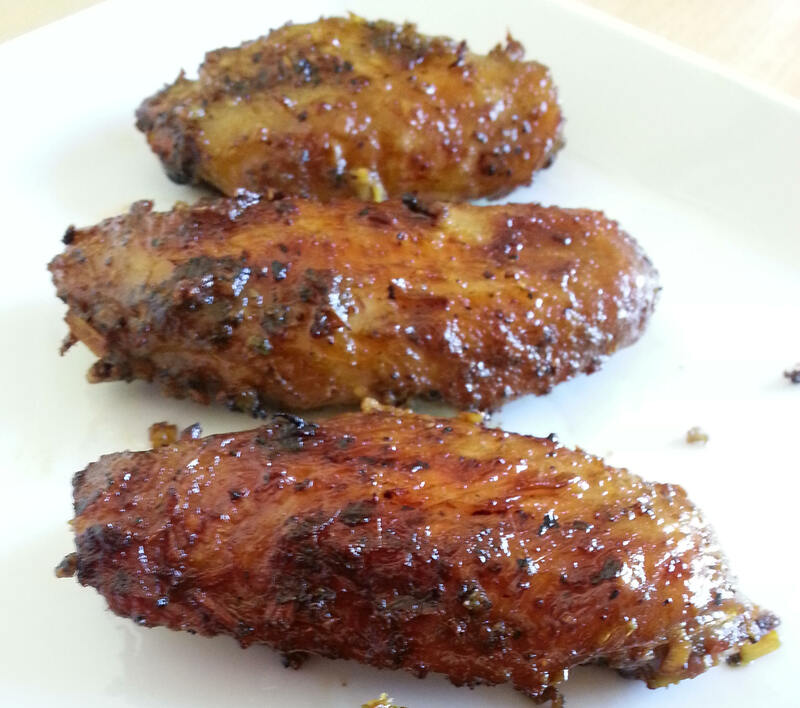 Grill: Place the wings on the grill, brush with marinade, grill for 10 minutes. Flip the wings over, brush with marinade again and grill another 10 minutes until cooked. Roast: Place the wings in a single layer on a baking tray lined with parchment paper, brush with marinade. Roast at 450 degrees, check and flip the wings after 10 minutes, roast for another 10 minutes until wings are cooked. Transfer to serving platter, serve warm. As long as it is to your taste. What I do is to taste test the marinade before adding it to the chicken wings. However, I think the minced garlic probably brings out the flavor better than garlic salt. I take the short cut using bottled minced garlic. You can get them at Chinese grocery store. Okay, I take your idea, though I’m not a very big fan of garlic..